The Celebrity Sofa can be connected to multiple stations. 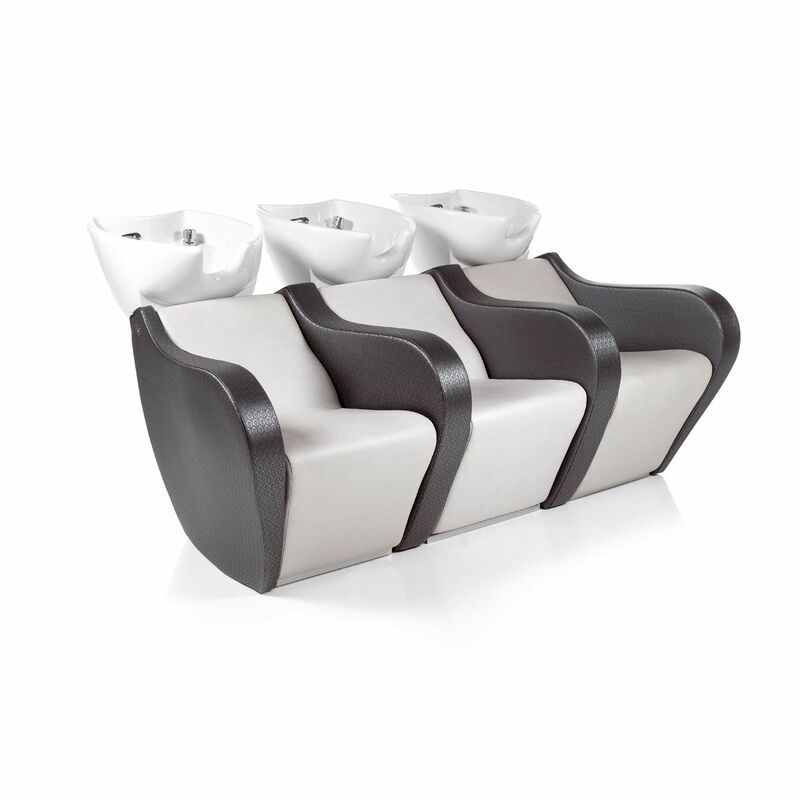 The slide and tilt bowl system is available in white, grey or black ceramic with fittings that can be adjusted to maximize the comfort for the client. For an additional charge, the shiatshu massage option can be added to the chair to add maximum comfort and relaxation.